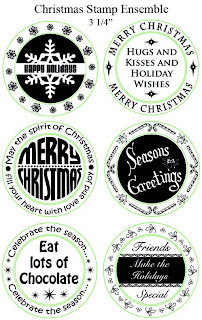 The Christmas Stamp Ensemble is a great stamp to use for cards, gifts and home made goodies. $14.95 each plus shipping - I accept Visa, Master Card and Paypal. What a fun set! I love it! I would love to order this one! Please send it to me! May as well throw in the baking set as well-- do you sell the wooder stamper for that size?